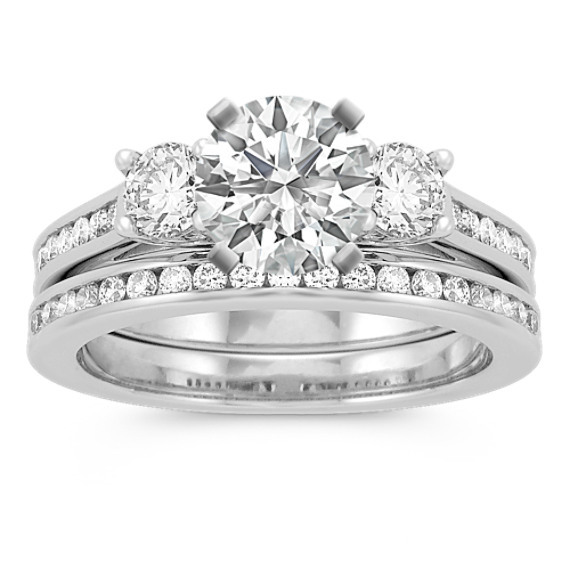 Cathedral Three-Stone Diamond Wedding Set | Shane Co. This brilliant cathedral wedding set features 34 round channel-set diamonds at approximately .94 carat total weight. Each diamond has been hand-selected for maximum fire and brilliance. These glorious gems are set in a classic superior quality 14 karat white gold setting. To the complete the look, add the center diamond of your choice.